Premium quality 3 piece margin trowel set made from hardened and tempered steel blades. 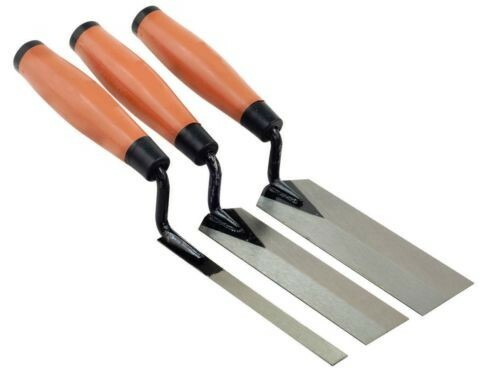 A perfect addition to your toolbox, the trowel set features 3 made to last, purpose built units varying in the most popular sizes from 13mm , 38mm and 51mm Used for edging of textured coating and plaster ceilings. The cushion soft grip handles featured on the margin trowels, ensure that you can keep on working by reducing the changes of hand strain and cramps. Please note, due to manufacturer changes the handle colour may vary.